With very few exceptions, going to the office is mostly a dull experience acceleration wise. 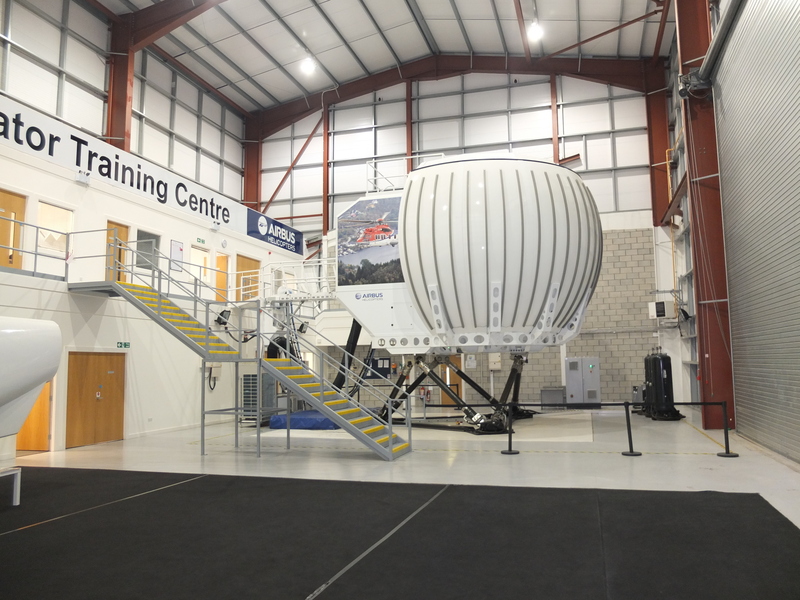 That is until one day when instead of taking the usual bus to work you get on a plane to Aberdeen, and instead of sitting on the usual three-degrees-of-freedom office chair you find yourself in a six-degrees-of-freedom full Airbus Helicopters H225 flight simulator (Figure 1, Figure 2). 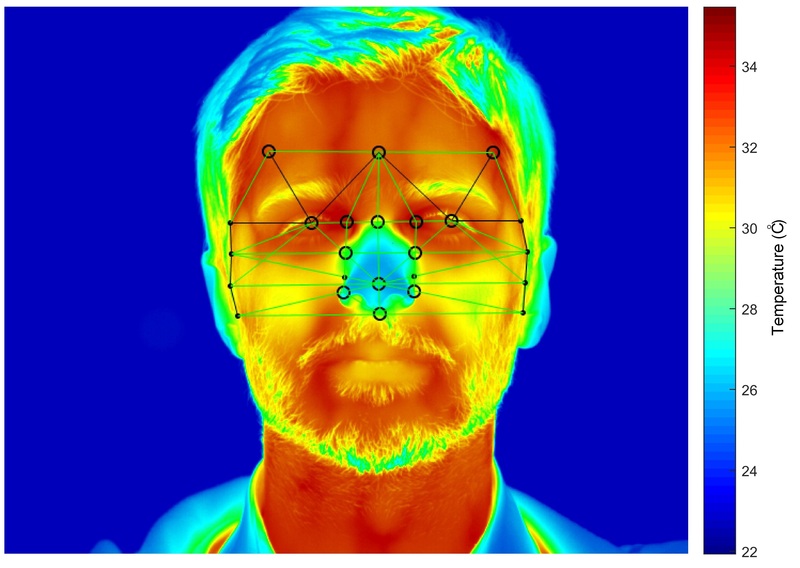 On the otherwise usual days, as part of my PhD, I study people’s physiological reaction to various levels of mental demand and the impact on their performance, with the aviation industry being the main application of my research. However my industrial sponsor, Airbus, offered me the unique opportunity of joining them on an important study. The main aim of the study was to learn more about deploying the physiological monitoring techniques for pilots, that Airbus and I are using as part of our research, to an environment as similar as possible to the real one. 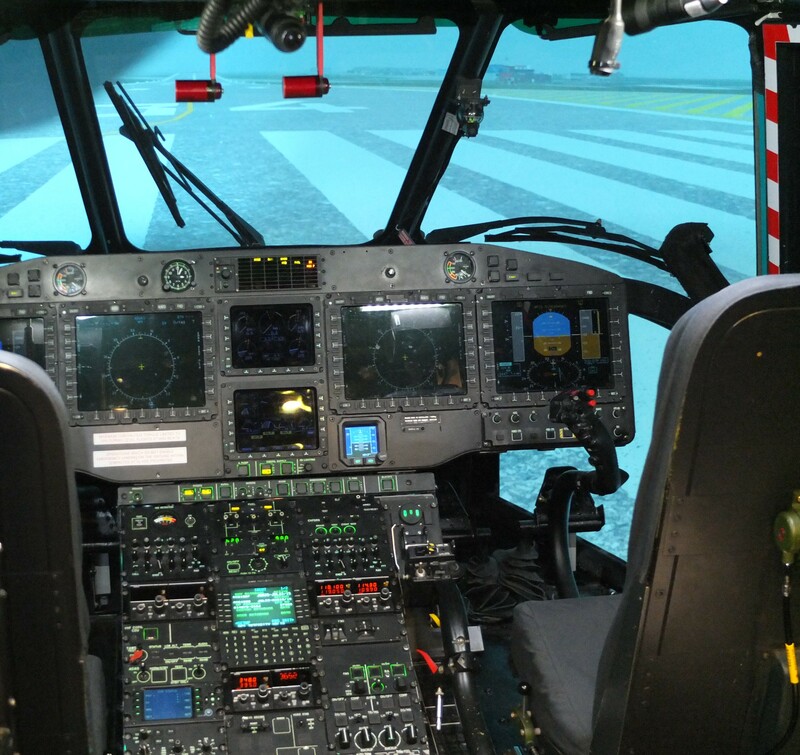 We spent one week at Airbus Helicopters in Aberdeen, each day performing measurements and observations on training pilots; the physiological monitoring consisted of collecting data on heart rate, breathing rate, pupil diameter variation and facial thermography (Figure 3). 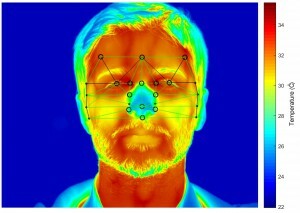 Setting up some of the devices, especially the thermal camera, presented both challenges and valuable lessons for the future. The most exciting part of the study was joining the pilots on the jump seat and going through their training, experiencing the most unlikely failures that could occur during flight, all of them in different combinations: engine failure, double engine failure, engine fire, tail rotor cable failure, gearbox failure, autopilot failure and all instrumentation failure at night and in low visibility. 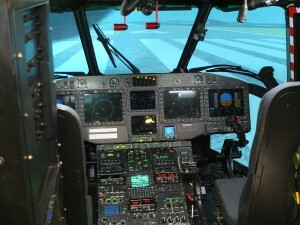 Most of the scenarios, after going through the diagnosis stage and discussing the best practices for dealing with the event, ended up with performing autorotations (maneuver for landing a helicopter without the use of engine power, relying only on the flow of air through the blades) and sometimes ditching the helicopter in the sea, both options being bumpy to say the least. One of the most impressive things that I had the opportunity of observing is the crucial role of communication between the pilots and the need to achieve a high level of trust as some very demanding situations require the sharing of responsibility and fully relying on the other person. Communication is sometimes mediated through procedures and best practices, whilst as for trust it probably requires some more work. Even though I do not usually fly on helicopters, it was extremely comforting to see the thorough training that the pilots go through and the ability they have to take split second decisions and perform seemingly impossible landings. After one week of taking part in simulated flights, I was back to my usual office, missing the excitement of emergency situations but happy to be on stable ground.